Interest in longevity and longevity risk management is burgeoning, as government and regulatory agencies are increasingly conscious of the potential risks and benefits of longer lifespans. Commercial and industrial organizations, especially within the financial sector, are awakening to the opportunities presented by population aging, along with the new array of financial insurance instruments to manage longevity risk, which more sophisticated markets are making possible. 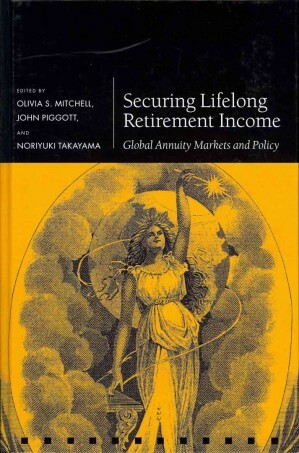 This volume explores three main themes: the need for products to manage longevity risk; the structure and safety of financial products on the market that help manage longevity risk; and the role of policy in stimulating and strengthening longevity insurance products. This edited volume brings together leading international experts to evaluate the challenge posed by trends in longevity risk and draws out the implications and constraints of this new reality for insurance companies and annuity providers. It discusses both emerging economies (India, Chile) and many of the older nations (Sweden, Canada, the US, Australia, Japan, the UK and Switzerland). It aims to instigate new thinking among retirement planners, plan sponsors, academics, and industry leaders seeking to manage retirement payouts and longevity risk.